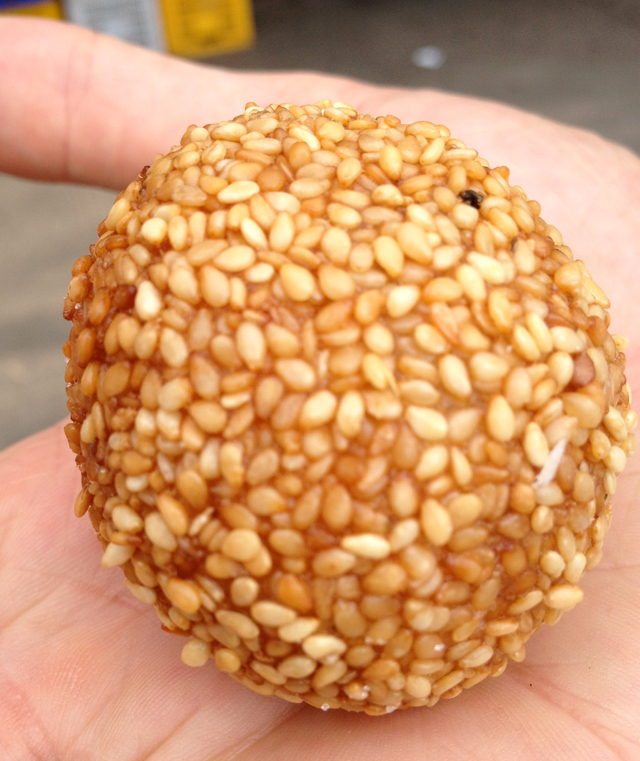 A ball of red bean paste covered in sesame seeds surprised me. To be perfectly honest, red bean paste ranks up there with bubble tea. But in this case, the layer of sesame seeds kind of made it alright. We had been walking around a second burgeoning Chinatown in Brooklyn (the other is in Sunset Park) and after eating a lot of lunch, I insisted in some sweets.